Natalie Tewa Crawls Back To Rnaze For Proper Server Maintenance! Home / Instagram / Moses Mukiibi / Natalie Tewa / Rnaze / Roast Network / Shimo La Tewa / Video / YouTube / Natalie Tewa Crawls Back To Rnaze For Proper Server Maintenance! After a nasty breakup that reverberated across the internet a week ago, Natalie Tewa alias Shimo La Tewa and his Ugandan boyfriend Moses Mukiibi alias Rnaze are back together after negotiations that were initiated by Vera Sidika. Vera Sidika is a mutual friend of both Rnaze and Natalie Tewa and she is said to have convinced the two to reunite. They met in her house. In a video shared by Vera Sidika on her Instagram page, the two are shown seated and having a candid conversation that was muted by Vera Sidika. 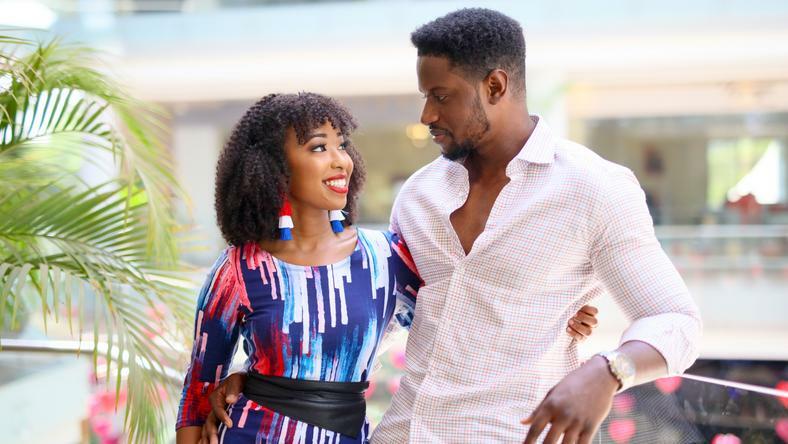 Many are surprised that the two are back together even after Shimo La Tewa asked her fans to kill couple goals because it was not a viable thing in the long run. She accused Rnaze of deleting her Instagram posts and YouTube videos in rage that was caused by Shimo la Tewa cheating on him. Shimo la Tewa further accused the man of being broke and unable to pay his rent and buy himself basic things like phones and clothes.